Clement, a gifted evangelist and volunteer trainer, had prepared well for a Sports Friends (SF) Basic Training week in Malawi. On the third day he would accompany the participants to a local football field. 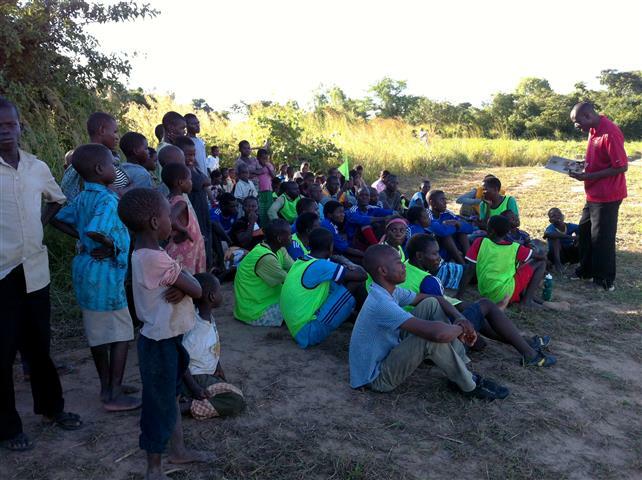 There, during a practice session or game, they would learn practical skills for sharing God’s Word. Keen to equip them well, Clement hoped to empower the new coaches to be bold for the Lord on the sports field. Little did he know that he was about to get a unique opportunity to practice the very material he had prepared to preach. After playing football with children from the local village, Clement stood up to share God’s Word with the SF group and anyone else from the community who wanted to hear. A group of fashionably-dressed village men looked on unhappily from behind their sunglasses. Once the men heard Clement was teaching about Christ, one shouted, “Don’t waste our time! We want to play football! Shut up and get off our field. We are Muslims and we don’t want to hear from your holy book!” The Basic Training participants looked flustered, but Clement didn’t even blink. He just kept sharing unashamedly about Jesus. The angry villagers then grabbed a whistle and, blowing it as loudly as possible, began running around the football field. Finally they made their way to just behind Clement. It seemed that they were trying to drown out the Word of God, but their attempts failed. Clement, who was passionately teaching the people, did not even look back at them. After 10 minutes of creating chaos with no reaction, the villagers gave up. Netball game in progress. Netball is big in Malawi and Sports Friends introduced it after mothers and sisters of the boys playing football said they wanted a sport for them! Later, during debriefing, our SF staff members were able to make the most of what had happened earlier.” We encouraged our participants to remember that he who is in us is greater than he who is in the world. We also reminded them not to look negatively on those who persecute us, but to love them instead. Then something amazing happened. Guess who invited us back the next day to share the Word and play a game? The same group of Muslim men who had given us so much trouble the day before wanted to hear more and to spend time with our group again. The love of Christ and the Word of God are truly contagious! This time when Sam, one of our newly-trained sports ministers, began to preach he faced no resistance. With the confidence of Jesus Christ he stood up and shared a message of unconditional love with the entire village. At the end, the local men even clapped and thanked him for sharing. Then they joined us in praying to Jesus before the football match began. The Muslim men in this village never would have stepped foot inside a church building. They never would have socialized with Christians. But now, because we met them on neutral ground, they’ve had a chance to hear about Jesus. This is why we do sports ministry. The training event was anything but basic. 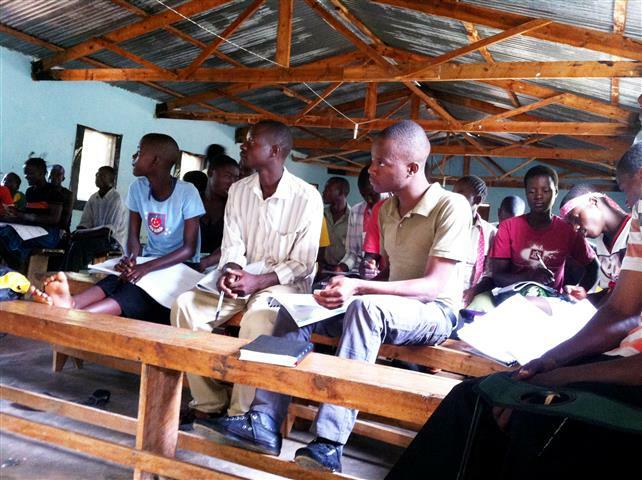 Who knows what God will do next as we continue to link hands with local churches across Malawi? When a hug is called for!